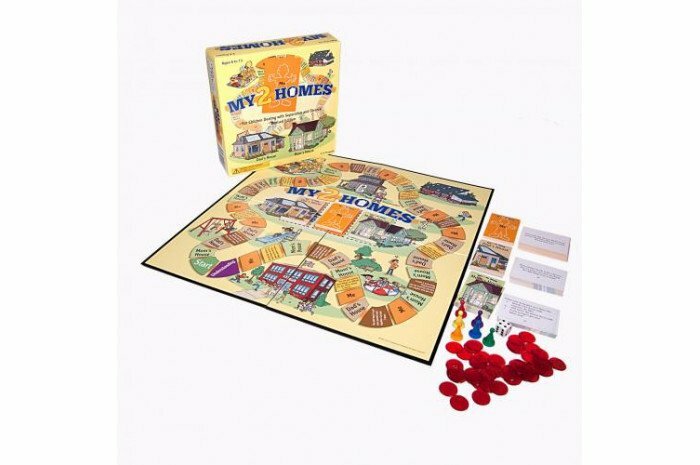 Designed for children who are having difficulty adjusting to their parents' divorce, this engaging game lets children deal with problems on their own terms through play. The game was designed to be a tool to help children communicate their feelings about divorce. The game is simple enough for parents or other nonprofessionals to play with children. The object of the game is for each player to make a full circle of the game board, answering the questions about divorce. This has been one of my favorite games for years. The children I work with really enjoy playing it and it generates much discussion and encourages expression of feelings. I've been borrowing it from one of the other therapists in the practice and finally decided to get my own copy of the game. I highly recommend it.